129. Chinese windlass. This embraces the same principles as the micrometer screw 111. 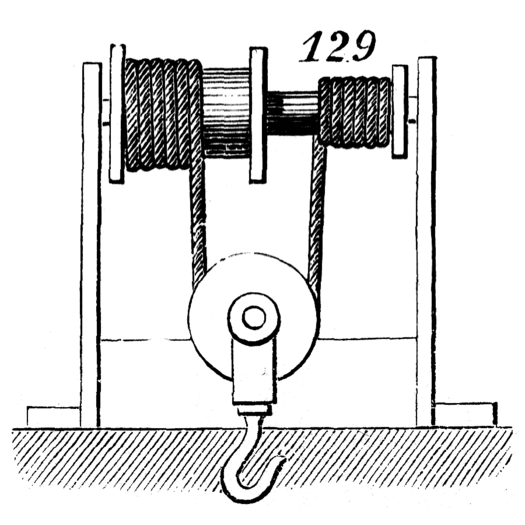 The movement of the pulley in every revolution of the windlass is equal to half the difference between the larger and smaller circumferences of the windlass barrel.